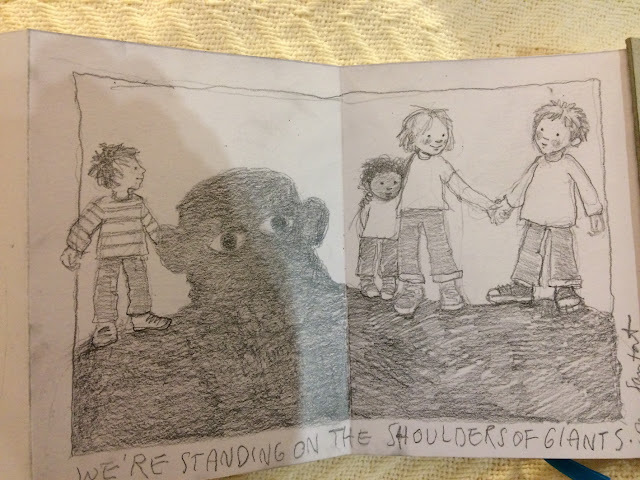 I am back from New York, where I had the opportunity to attend the SCBWI winter conference. It was an inspiring and all in all wonderful experience. I had been to the Europolitan conferences in 2015 and 2017, and had so much enjoyed the spirit of them. With 750 approx. attendees, the energy of so many kidlit people in one place is incredible. Possibly – and hopefully – everyone who has ever been to an SCBWI conference knows the feeling. After the conference, you feel enriched and empowered, able to get wherever you want to get and reach whatever goal you want to reach. Trying to break down what it actually is that made it such a powerful experience, these three words come to my mind: Content, Encounters, Inspiration. Thanks to a new structure, there were three two-hour intensives, in which we dove deep into writing or illustrating techniques, or learned about the industry. 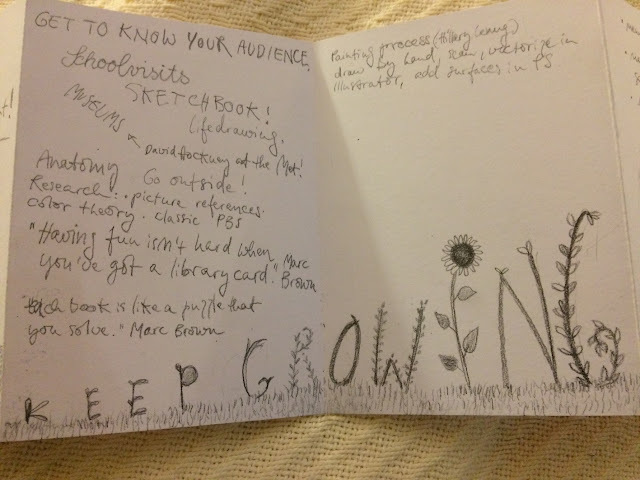 I took part in one intensive with a panel consisting of an art director (Patti Ann Harris) and two author-illustrators (Marc Brown and Hilary Leung) (“Best Practices for Illustrators: From Assignment to Bound Book”) outlining the process of a book coming to life. In my second intensive four art directors from four publishing houses (Cathy Goldsmith, Patti Ann Harris, Cheryl Klein, Lilly Malcom and Donna Marc), generously shared what they look for when they try to find an illustrator for a book. For this intensive, we had been given a homework assignment. So that during the intensive the art directors looked at the attendees’ illustrations, and let us know what they liked about the image, what they found was strong in the image, or what they would ask the illustrator to change if they were to use it in a book. 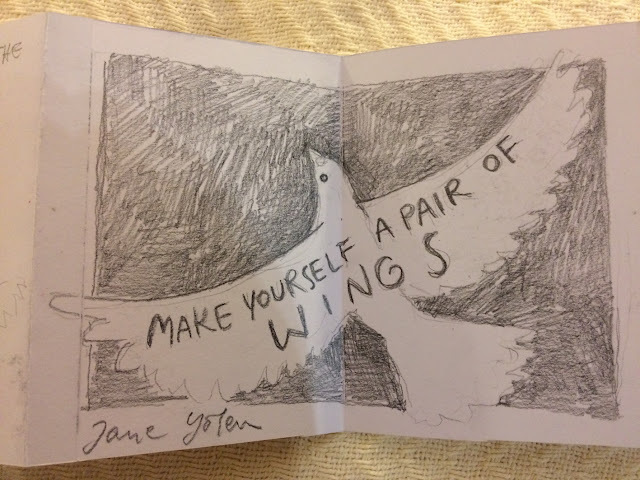 My last intensive was led by the amazing Jane Yolen, author of more than 300 books, who gave us an overall course about picture book writing together with her daughter. There was also plenty of time for our questions. My strongest impression was that of so many people with a common passion for pictures and stories for children, who know each other’s day to day struggles as their own. There were people from all different stages of the path, from all over the world. There were people whose books I love, or whose potential books I had the pleasure to catch a glimpse of. Then there was the portfolio showcase, offering the possibility to look at hundreds of portfolios – encountering art and in the art, the artist. How would this art look in a book? What kind of book would I pick this art for if I were an art director? What touches and inspires me – also: What do I not want in my own art? What would I do differently? I drew a lot of inspiration from everything I have described so far. But then, in addition to all this, there were several talks which were inspiring: On the first night, at the festive Golden Kite Gala, Chelsea Clinton gave a talk about what books and reading (and being read to) can mean for children. There was Dan Santat talking about his creative journey which led from his early work to his newer books, in which he has found a voice as an illustrator and writer, which is heartfelt and deep. There was Jane Yolen, looking back on a long and impressively productive writing life, encouraging us to develop our creativity. And there was Angie Thomas, author of NY times bestseller ‘The Hate U Give’, showing us that it is actually possible to change the world – by changing a child’s or a teen’s world with a book. So, all you wonderful SCBWI people, I’m incredibly grateful I could be there and can also be part of an amazing RT team, who have put together and lead through this event with incredible professionalism, warmth and humor. I am certainly inspired to try. Sanne is the writer and illustrator of several picture books, published in several European countries and North America. She volunteers for SCBWI as illustrators' coordinator for our region and lives with her family in beautiful Tübingen.